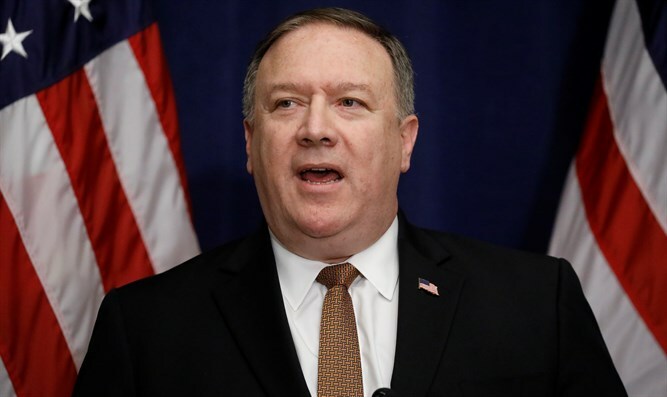 'I wish the American Jewish community and our Jewish friends around the world a Happy and Sweet New Year,' Secretary Pompeo tweets. US Secretary of State Mike Pompeo wished Jews a “Shana Tova” ahead of Rosh Hashanah. “On the eve of #RoshHashanah, I wish the American Jewish community and our Jewish friends around the world a Happy and Sweet New Year. #ShanaTova,” he tweeted. His wishes for the new year join those of US President Donald Trump, who spoke last week with rabbis and leaders of US Jewish communities, giving his best wishes for the new year. “To many rabbis, the Jewish leaders, and friends who are on the line, I am delighted to wish you Shana Tova, a sweet new year. And you’ll have many others. We really enjoy being with you. It’s something I enjoy each year. May you be inscribed in the Book of Life,” Trump said. “This afternoon, I want to express my deep admiration and gratitude for the extraordinary contributions of the Jewish people to the United States and to the world,” he added. “I am the very proud father of a Jewish daughter, Ivanka, and my son-in-law, who I’m very proud of also — I will say that very loudly — Jared, and my several Jewish grandchildren, namely three beautiful Jewish grandchild that I love,” he said.